The 43rd – and YOUNGEST EVER – Member of the Soccer Fitness 20 MPH Club, Joshua Successfully performed 2 separate, 4-second running bouts at a top speed of exactly 20 miles per hour on Tuesday, September 27, 2011. At only 12 years and 2 months old, Joshua has become the youngest ever athlete to run 20 miles per hour at the Soccer Fitness Training Centre. A defender and midfielder with the Vaughan 1999 Boys, Joshua has been training with Soccer Fitness for the past 3 months, and we fully expect him to continue to improve his running speed in the months and years ahead. 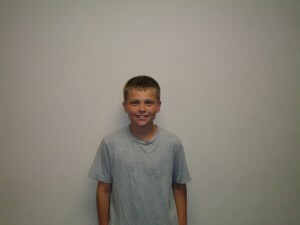 Congratulations Joshua, and we look forward to helping you progress in your soccer career!